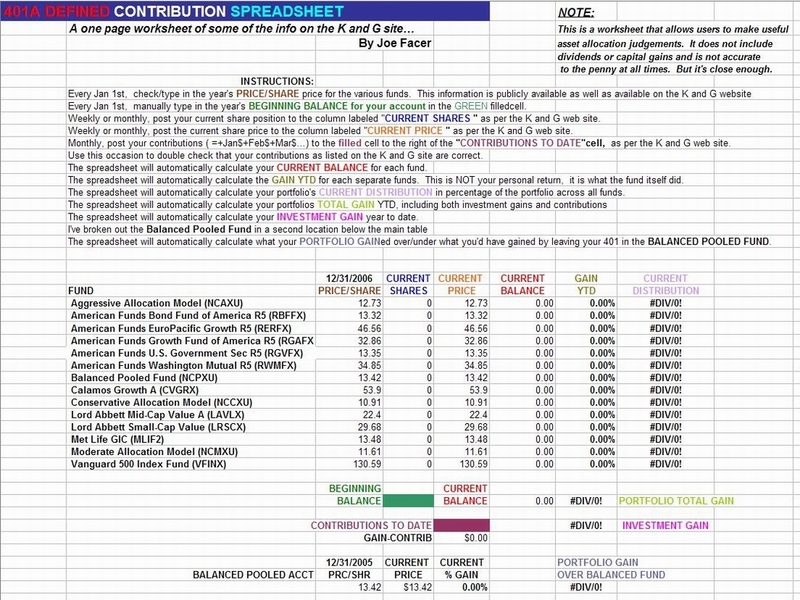 Click on this link to download a Deluxe live version of the Excel spreadsheet that I use to track and manage my 401a account. NOTE;The downloaded spreadsheet will be unprotected. It's possible to write stuff in the wrong place, accidently erase stuff, and hopelessly screw it up. Just reload the spreadsheet and try it again. Talk to me in person and I can set you up with a mostly foolproof protected version if it'll help.